Recently I was asked to write a (frustratingly short) introduction to the world of whisky. Always willing to oblige, I did exactly that. Firstly, when people refer to ‘whisky’, in the UK at least, they are most often referring to Scotch. 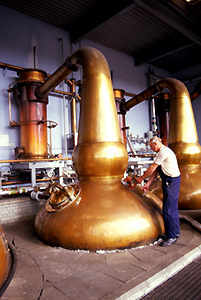 Scotch whisky comes in many different forms, the most prolific of which are Single Malt and Blended. Blended Scotch, as the name suggests, is made from the whisky of a variety of different distilleries, which are then blended together. It may also contain grains other than malted barley, which can significantly lower the cost of production (and, therefore, purchasing). 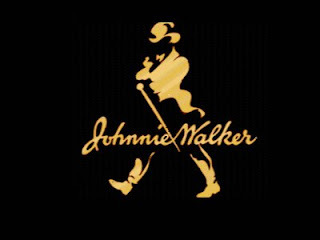 Famous examples include Johnnie Walker, Bells, and Famous Grouse. Where blends are concerned, a general rule of thumb is that the more expensive ones will contain a higher proportion of malted barley, with cheaper ones using more wheat, rye, and corn. There are different areas in Scotland known for producing particular styles of single malt, of which Speyside and Islay (pronounced ‘eye-lay’) are probably the most famous. The former is typically a sweeter, lighter style, with notes of honey, apricot and dried fruit. Islay is better known for its medicinal (think TCP) aromas. This comes from the smoke produced by the peat which is used to heat the kilns in which the malted barley is dried before fermentation. The amount of contact this peat smoke has with the drying grain will play a huge part in the profile of the finished product (more smoke = more peaty flavours). 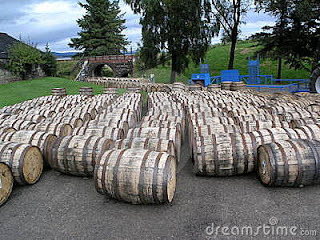 Another main source of difference in character comes from the oak barrels in which the whisky is aged: longer ageing can produce chocolaty, spicy, Christmas cake-like aromas. It will also generally smooth out some of the edges of a whisky, resulting in a more pleasurable drinking experience. The ageing process also sees a vast amount of whisky lost through evaporation (about £1 million of whisky evaporates each year in Scotland), so it is inevitable that older whisky will cost more than younger ones. When tasting whisky, I advise trying them first at room temperature. Adding water is a case of preference. If you chose to do so, start by mixing one-to-one, so that you can compare different whiskies on a level playing field. Start with the nose: delicate, honeysuckle and stone fruit character is likely to be indicative of a Speyside, whereas strong, peaty notes are the trademark of an Islay. In the mouth, take a small sip. Let it sit on your tongue for five to ten seconds before swallowing. This will acclimatise your palate to the alcohol. After a few breaths, take another sip and savour with your whole mouth before swallowing. Don’t worry too much about the various flavour involved – the most important thing is whether you like it! A quick search for ‘whisky flavours’ online will provide a list of likely characteristics to look out for for those who are interested. Last, but by no means least, the finish. Here, the taste will often evolve and develop, rather than just fading. Whiskies of greater quality can show incredible complexity at this point. If you are keen on experimenting, I would highly recommend seeking out one of the many great independent retailers out there. The Whisky Exchange, for example, is staffed by highly knowledgeable and enthusiastic whisky fans, who are always happy to share their opinions (and might even let you try a few sips too!). Hello - just stumbled on the blog and thought I'd say how much I'm enjoying it.